There is a growing mentality amongst consumers that added sugar in drinks, and in food in general, is detrimental to health. In some countries, such as the UK, a tax has been imposed on the addition of sugar in soft drinks and sweetened beverages. The tendency in Europe is to reduce the quantity of sugar added to food or use sugar from natural sources. An alternative option to traditional sugars is to use sugars derived from fruit or, in other words, deionized fruit juice concentrates. These are produced from squeezed fruit which is then filtered, decoloured, deionized and subsequently concentrated. Characteristics such as acidity, colour and flavour are eliminated during the process, resulting in a transparent, colourless concentrate with a neutral flavour constituted fundamentally by sugars derived from the fruit. This can then be used as a natural sweetener in many foods. These concentrates are mainly obtained from grape, apple and pear juice, although other fruits such as citruses, carob and pineapple can also be used. The principal nutritional benefit of these products is that they offer an ideal balance between the sugars from which they are constituted, a low Glycaemic Index and, as such, a slow increase in blood sugar levels when consumed as part of a specific foodstuff. Likewise, the use of these products allows for clean labelling as they can be denominated within a list of ingredients such as ‘fruit sugars’, as well as for possible claims such as ‘with 100% natural fruit sugars’. 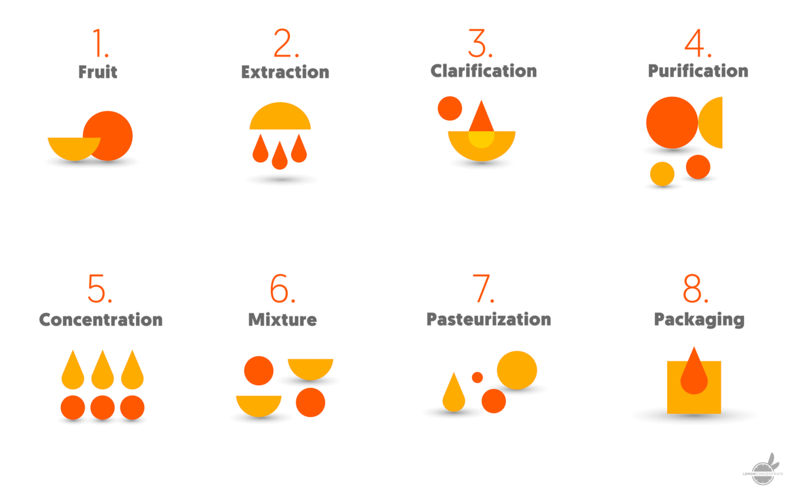 In the industrial process, only physical extraction methods are applied so that the sugars that are naturally present remain in the final product. These sugars are in no way obtained using other techniques of hydrolysis of other superior sugars (polysaccharides, oligosaccharides) with the use of chemical products and/or enzymes. Figure 1 shows the flowchart of the manufacturing process. Figure 1: Flowchart of the manufacturing process of deionized concentrate. The deionized fruit extract is a liquid in the form of a concentrated syrup containing a dry matter of 65-70% with a high viscosity. It has a sweet flavour similar to sucrose and its organoleptic properties allow for its application in various food matrices such a wide range of drinks, dairy products, ice creams, sweets, jams and confectionery depending on the application. This range of application can go from doses of very few g/kg even up to doses greater than 90g/kg. The brix level of the product ranges between 65-70 and the pH between 4-5. This product is composed mainly of sucrose, glucose and fructose in variable percentages depending on the fruits used. They can be manufactured from a single fruit or from a mixture of fruits in different proportions. 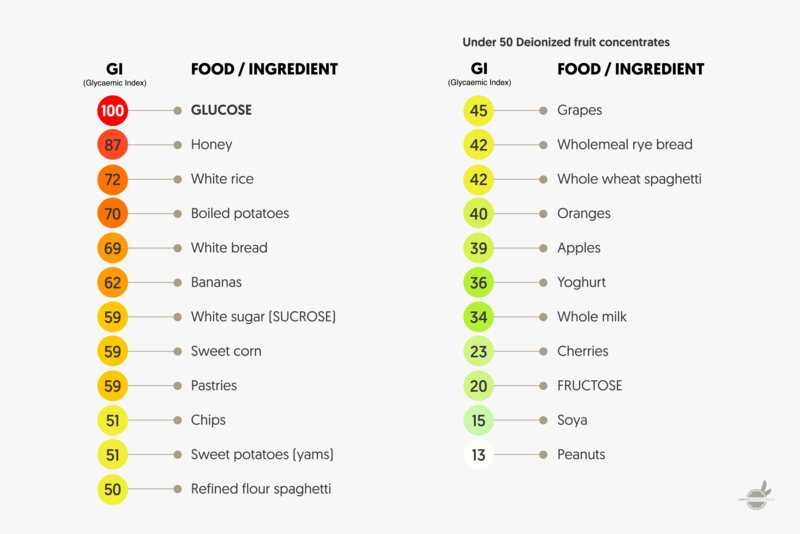 Table 1 shows the concentration of the different sugars in some of the fruits used in the manufacture of these products. Table 1. The concentration of different sugars in some fruits used in the manufacture of deionized juice. The energy content of these products is the same as that of the sugar (4 kcal and 17 kj/g of dry matter). This energy content varies according to the dry matter of the final product, ranging between 265 kcal and 1105 kj to 280 kcal and 1,190 kj (per 100 g of product). 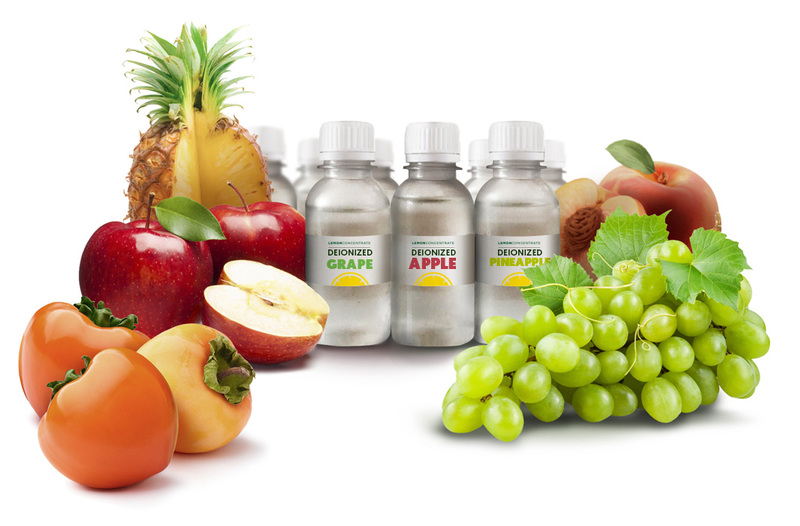 From a food safety perspective, deionized juice has a very low content of residue of pesticides, mycotoxin and heavy metals which in many cases remains below quantification limits. On a microbiological level the product presents an absence of spoiling microorganisms (yeasts, moulds and acidophilus bacteria), coliforms and E. Coli and pathogens. used in food formulations and which is obtained by enzymatic hydrolysis of inulin, the deionized concentrate is 100% fruit sugar extracted only by physical processes. 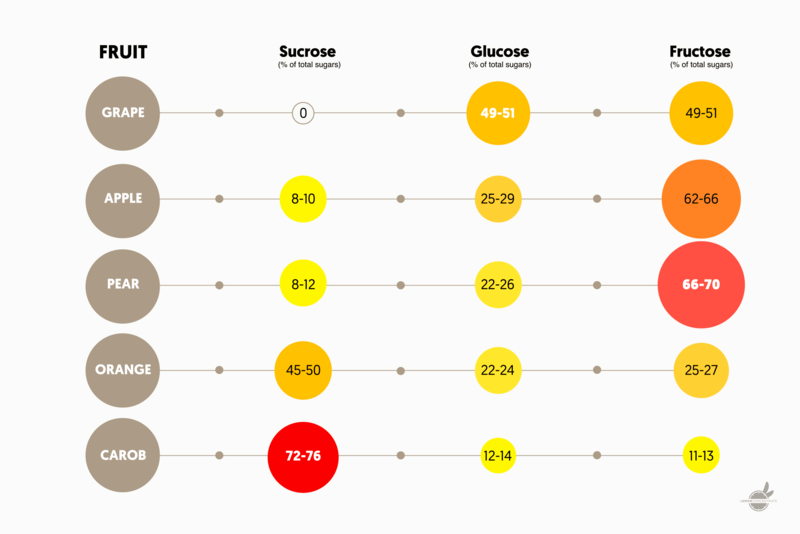 Table 2 shows the Glycaemic Index of some sugars and foods, as well as that of the deionized fruits. Table 2: The concentration of different sugars in some fruits used in the manufacture of deionized juice. When we eat any food that is high in sugar, the levels of glucose in the blood increases progressively as the starches and sugars they contain are digested and assimilated. The speed with which different foods are digested and assimilated depends on the type of nutrients they are composed of, on the quantity of fibre present and on the composition of the remaining foodstuffs present in the stomach and intestine during digestion. These aspects are valued according to the Glycaemic Index of the foodstuff. This index is the relation between the area of the curve of absorption of an intake of 50g of pure glucose over time and that obtained when ingesting the same quantity of foodstuff in question. The Glycaemic Index is determined in laboratories under controlled conditions. The process consists of taking blood samples at short intervals from a person who has consumed pure glucose solutions and comparing this with their consumption of the foodstuff in question. Despite being somewhat difficult to determine, interpreting the results is very simple: high indexes imply rapid absorption while low indexes indicate slow absorption. This index is of great importance for diabetics given that they must avoid rapid increases in glucose in the blood. Carbohydrates with a high Glycaemic Index can cause major problems in both controlling diabetes and in the formation of fats. Deionized fruit concentrates contain a low Glycaemic Index so they produce a slow increase in blood sugar levels and can in turn aid the reduction of the Glycaemic Index of the foodstuff to which it is applied. Providing the final product presents a tested Glycaemic Index, an adequate glycaemic load and a similarly adequate nutritional profile, its consumption can be recommended to people with diabetes and pre-diabetes. Furthermore, this type of product also presents added value compared with conventional sugars (cane or beet, glucose and fructose syrup), in that they are commonly used in the formulation of food due to their positive image of naturalness because they are 100% derived from fruit, something that allows for clean labelling on the products that they are included in. They also provide a balanced profile of sugars, because the sugars are naturally present in the fruit in the first place. Lemonconcentrate has seen a 25% increase in sales of deionized products such as red grape, white grape and apple compared with last year. Article by Juan Manuel Pérez, Quality Control Manager, LemonConcentrate.